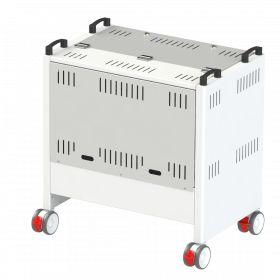 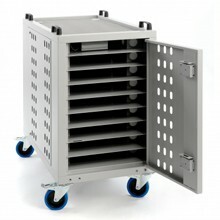 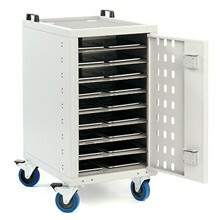 Top loading Lapbank laptop charging trolleys with cushioned compartment sizes of 300mm x 400mm x 40mm. 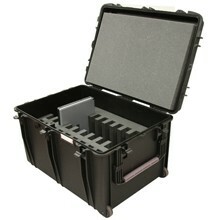 Highly engineered, strong, secure and lightweight. 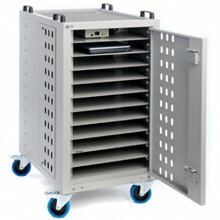 High security charging trolleys for netbooks, notebooks, & macbook air and tablets up to 12″. 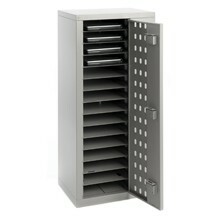 Lapbank High Security Laptop Safes. 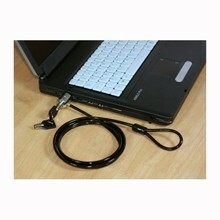 Market Leading Laptop Security with Charging Options for 6-15 Laptops.